Pumeko AS was established in 1995 and is based on Estonian capital. Our offices and production are located in Tallinn, at Heina 33. 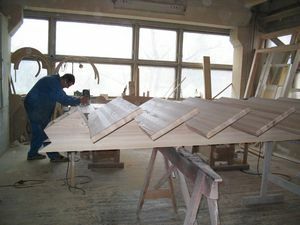 Pumeko AS is manufacturing wooden doors, windows and stairs. Also we rent out construction machines, manufacturing metal doors, gateaways, stairs and rent out offices, storerooms and production rooms. Our employees are welltrained specialists and have long termed experiences on timber industry and woodworking sector. 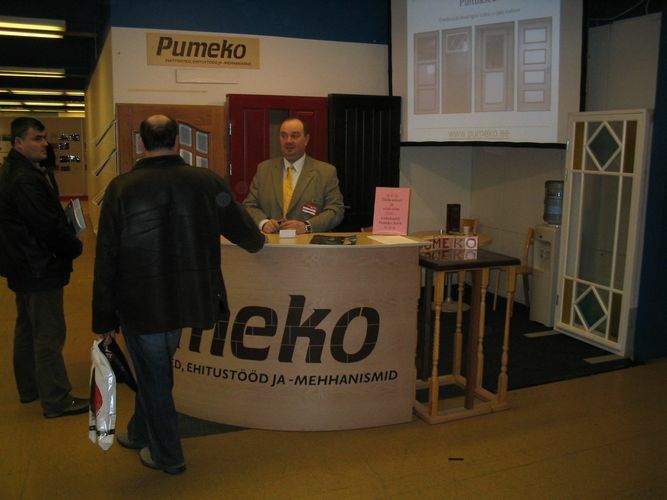 For years we have presented our products in exhibition "EstBuild"
Pumeko AS gives 2-years warranty for doors, windows and stairs. Warranty comprises for product, paint stability, fittings and glass airtightness. Consumer has right to inform Pumeko AS when they see any defects. With feasible warranty the defect will be fixed or the product will be replaced with new product as soon as possible. The Warranty supplied with your product applies to goods installed by Pumeko AS only. Warranties aplly to goods/products which have been treated/decorated and installed in accordance with the manufacturers and our instructions. Warranty does not apply for products which have been damaged mechanically and/or weren´t used as assigned. Warranty period will stop for the time when consumer can not use the product as assigned. Changes on colour caused by resin or because of natural colour differences on wood. Damaged products which hasn´t been used or mounted by following the indrotuctions on mounting and maintenance manual.